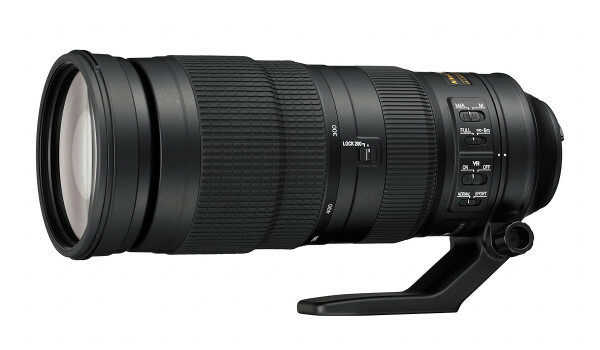 Nikon’s new AF-S Nikkor 200-500mm f/5.6E ED VR super-telephoto zoom lens. Three new Nikon lenses were announced tonight. Nikon is adding three new SLR lenses to their optics lineup: the AF-S Nikkor 24mm f/1.8G ED prime, a new AF-S Nikkor 24-70mm f/2.8E ED VR standard zoom; and the most exciting of the new lenses – the AF-S Nikkor 200-500mm f/5.6E ED VR – a hand-holdable super-telephoto zoom lens. Nikon’s newest prime lens, the AF-S Nikkor 24mm f/1.8G ED wide-angle. The new AF-S 24mm f/1.8G lens adds a new, compact, affordable option for photographers who want a fast wide-angle prime. 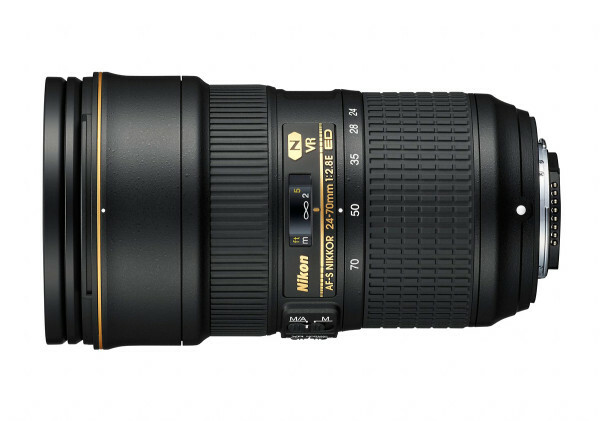 Previously, Nikon just had 24mm f/2.8 lenses and the very expensive AF-S 24mm f/1.4G prime. 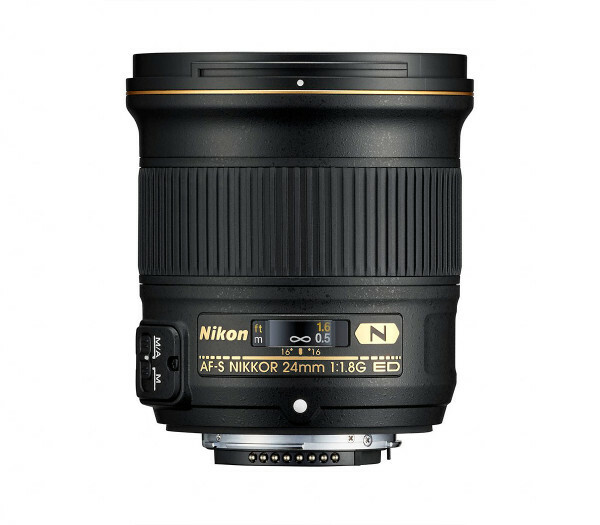 The AF-S 24mm f/1.8G has a 7-bladed aperture for natural bokeh, 2 ED elements, Nano Crystal Coat to minimize glare and ghosting, Nikon’s Silent Wave auto focus motor for fast silent focusing; and it focuses as close as 9 inches (0.23m). Nikon even included a lens shade with the lens. As I said, I think the brand new AF-S Nikkor 200-500mm f/5.6E ED VR super-telephoto zoom (see photo at top of page) is the most exciting lens of the lot. It’s a great new hand-holdable telephoto option for sports, adventure and wildlife photographers who need a lot of reach. On a crop-sensor DX-format camera, the lens’s 500mm maximum focal length is equivalent to 750mm. That’s nuts! To ensure steady, sharp photos at that range, Nikon gave the lens 4.5-stops of VR shake compensation, including a Sports Mode for panning and shooting high-speed bursts. The lens is surprisingly small and light, considering its zoom range. It weighs just a hair over 5 pounds (approx. 2300g) with the included tripod collar, and it’s just 10.5 inches long (267.5mm). So it’s relatively easy to pack (at least for a lens with so much reach), and it truly is useable without a tripod or monopod. To make sure the optical quality is top-notch, Nikon gave the new 200-500mm zoom three ED lens elements. It also has Nikon’s Nano Crystal lens coating and a 9-bladed aperture for perfectly round, smooth bokeh. The E after the aperture designation in the name indicates the lens features Nikon’s Electromagnetic Aperture for consistent exposures and smooth, stepless adjustments when the lens is used for video. If you want even more reach, the AF-S Nikkor 200-500mm f/5.6E ED VR zoom is compatible with Nikon’s 1.4x, 1.7x or 2x E series Teleconverters*. That makes a focal length of 1000mm possible with an FX-format body; and with a DX-format camera like the D7200, you can have a focal range equivalent of 1500mm. 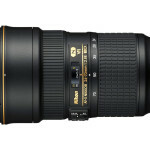 Nikon’s updated 24-70mm standard pro zoom, the new Nikon AF-S Nikkor 24-70mm f/2.8E ED VR lens. The new AF-S Nikkor 24-70mm f/2.8E ED VR improves on the previous version (which was already excellent, in my opinion) with some new features and an updated optical formula for even better image quality. The most obvious change is the addition of VR, making the lens even better for handheld, low-light shooting. Nikon also added the Electromagnetic Aperture feature for better aperture control and smooth aperture transitions when the lens is being used for video. The new optical formula has 2 ED elements, a High-Refractive Index (HRI) element, and a first for Nikon – a special aspherical ED element. The nine rounded aperture blades mean portrait photographers will get beautiful out-of-focus. Nikon’s Nano Crystal Coat and a fluorine coating minimize flare and help keep the front and rear elements clean. 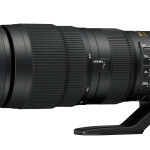 The new Nikkor 200-500mm f/5.6E ED VR super-telephoto zoom should be available in mid-September with an MSRP of US $1399.95 – an incredible price for a lens with that kind of reach and performance. The new AF-S Nikkor 24-70mm f/2.8E ED VR zoom is scheduled to be in stores in late August. It will sell for $2399.95. 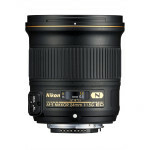 The 24mm f/1.8G ED wide-angle prime will be available in mid-September at the suggested retail price of $749.95. Because the front elements of the new 200-500mm and 24-70mm zooms are larger than previous lenses, Nikon is also making new circular polarizer and NC (Neutral Color) protective filters in 95mm and 82mm diameter sizes. * Auto focus is only available when used with Nikon TC-14E teleconverters and DSLR cameras that offer f/8 support. These include: D4, D4S, Df, D600, D610, D750, D800, D800E, D810, D810A, D7100, D7200.